C17: Day 60 – Cat month! Carrying on from yesterday’s Cat Stitch, this month is Cat Month! 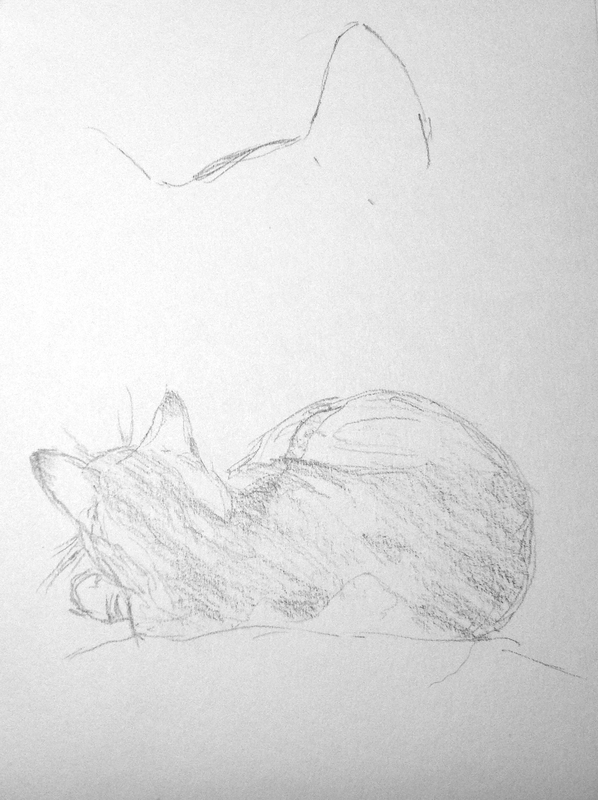 I shall be sketching a cat, or a part of a cat, every day for the whole of the month. Today, that proved to be a bit of a challenge as Mewton came to sit on me, and Grabbity’s upstairs asleep, so I did what I could from far too close a distance. As you tell, though, he moved just after I got started! I’m just going to focus on doing quick sketches, so I’m not going to be spending the same amount of time as the crochet or the calligraphy took up. This project was not supposed to take an hour a day!